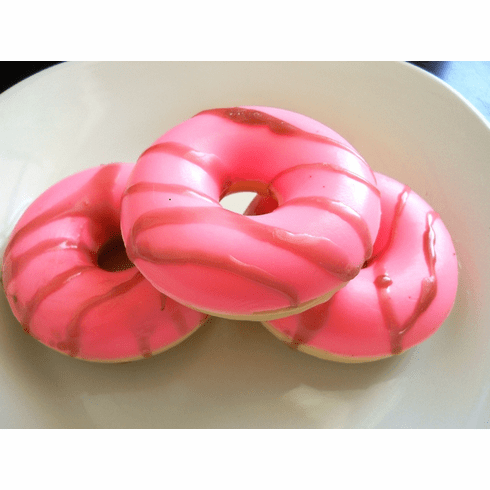 This cute strawberry glycerin soap doughnut will fool just about anyone. Looks very real! It weighs approximately 4 oz. and is scented with a fresh strawberry fragrance. It is made with a 100% vegetable glycerin soap base that is SLS and detergent-free. Vegan friendly! Comes wrapped in a clear cello bag with a label and bow. Convo me about pricing discount when you order 10 or more. I can customize packaging, scent, and label to fit your party needs.